Details about the contest, including samples of entries, can be found here. 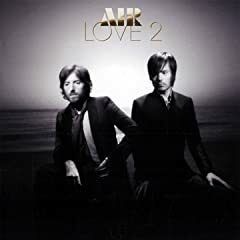 Air (Nicolas Godin and JB Dunckel) have sold 5.5 million albums worldwide. Following the October release of their fifth studio album Love 2- which Rolling Stone said was “full of typically chic and spacey tunes”- the band will return to the U.S. for their first live shows in three years next month. Their latest single “So Light Is Her Footfall” is available now. RjDj is the product of Reality Jockey, Ltd., a London-based start-up company founded by Michael Breidenbruecker, an original creator and founder of Last.fm. The “RjDj” app has been downloaded hundreds of thousands of times.